Chevy s-10 makes the grade. My Chevy s10 is a tough truck that has taken me on numerous trips. It is small but has room for five passengers. It is great in the snow. I just have to put it in four wheel drive and can go through snow, sleet and slush. . The Chevy s-10 has a short wheel base which makes it easy to handle but able to negotiate all kinds of terrain. It is a great truck for garage sale-in grocery hauling and off-roading. My friends never know where we will end up when we go out with the little red truck. I went to a garage sale where I ended up bringing home a desk, lawn chairs and a lawn mower. No problem. I know that it is not real good on gas but it is worth the money when you realize just how tough the beast is. My grand daughter named her that because she has driven her up to her home in the mountains with no problems. Unfortunately, the beast, like me, is getting old and now has rusted through in several spots. But it just keeps on going. It is the best truck I have ever owned. 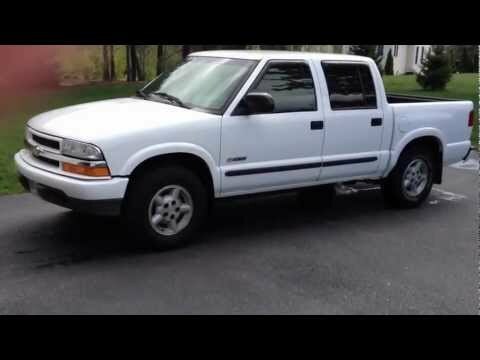 Chevy s-10 is a good value and fun to drive. My Chevy s- 10 is tough. It is not real great on gas but I do not drive it far from home. It has a bed liner which makes it great for hauling stuff. I have owned it for 3 years and have brought home furniture, lawn mowers, tons of garage sale finds, not to mention groceries, tires and numerous other items. I was pleased to find that it was great in snow. I was able to go upstate to get my friends husband home from the hospital complete with a slew of medical equipment, walker oxygen tank and suitcases. She was amazed that I was able to transport them along with the equipment. I have enjoyed having this truck as it is peppy and fun to drive. Hello everyone! I am currently driving a hunter green extended cab Chevrolet S-10 truck. The truck does have a small side fold down seat that would seat a child about 5 years old and younger. The extra space behind the main seat is like a trunk space in a car. The truck is an automatic transmission, and has very few extra features. And does not get very good gas mileage. However, it has provided me with excellent service to my family.